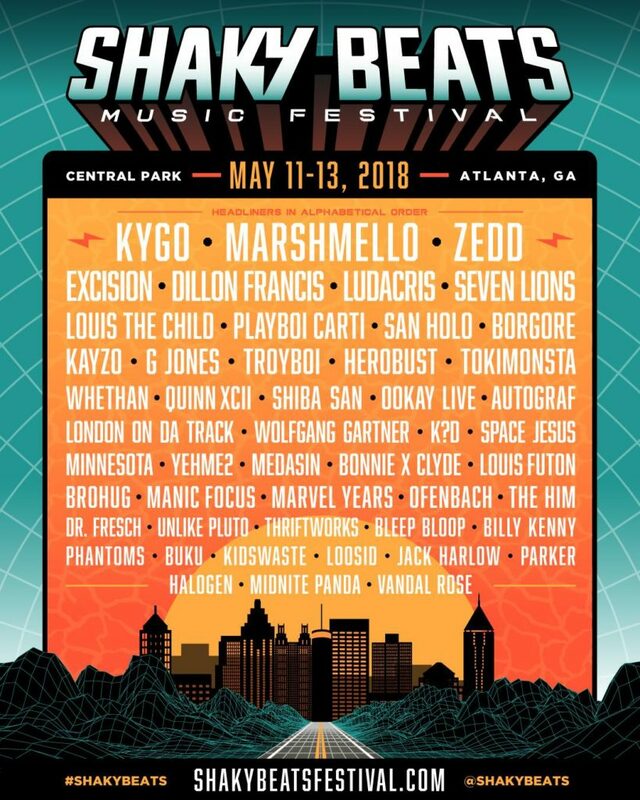 Shaky Beats organizers have unveiled a list of over 50 artists who will perform at the third annual festival, set for May 11-13 in Downtown Atlanta, Ga. Topping the list are Kygo, Marshmello, Zedd, Excision, Dillon Francis, Ludacris, Seven Lions, Louis The Child, Playboi Carti, San Holo, Borgore, Kayzo, G Jones, Troyboi, Herobust, Tokimonsta, Whethan, Shiba San, Ookay, Autograf, Wolfgang Gartner, Space Jesus, K?D, Minnesota, Manic Focus, Buku, and more (see full lineup graphic below). 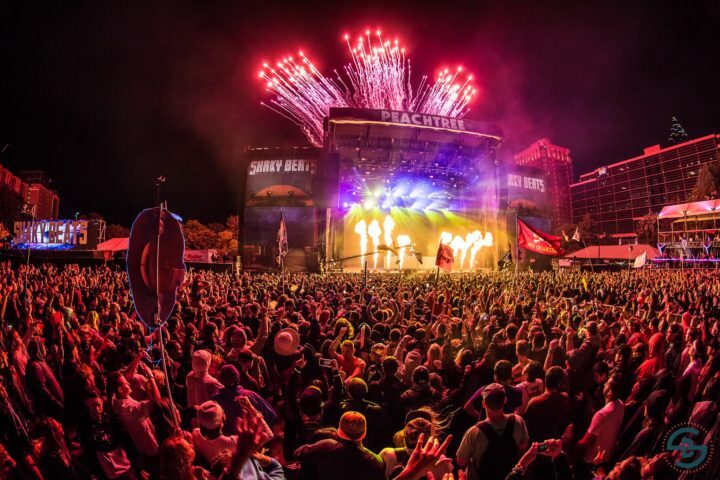 Shaky Beats tickets are on sale now, starting at $169 for a three-day general admission pass.